Superdry men’s applique oversized nu lad crew sweatshirt. Keep on trend this season in the nu lad crew sweatshirt, an easy to style, comfortable sweatshirt that you’ll be reaching for again and again. 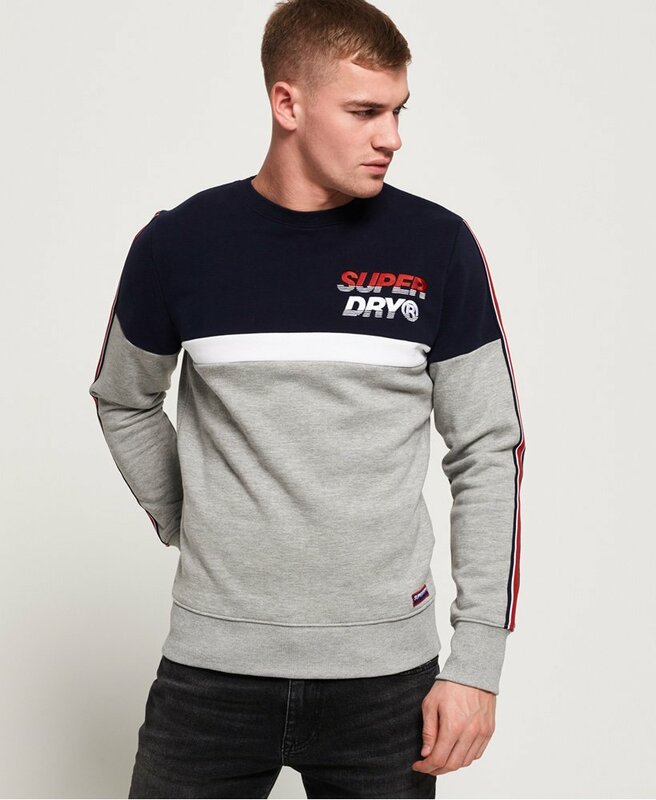 This sweatshirt features a crew neckline, an applique Superdry logo on the chest, tape detailing down both sleeves and ribbed trims. To finish, this sweatshirt has been decorated with a Superdry tab above the hem. Style this sweatshirt with your favourite jeans and trainers for a key look this season.